Because Midlife Weight Correction is Unique! 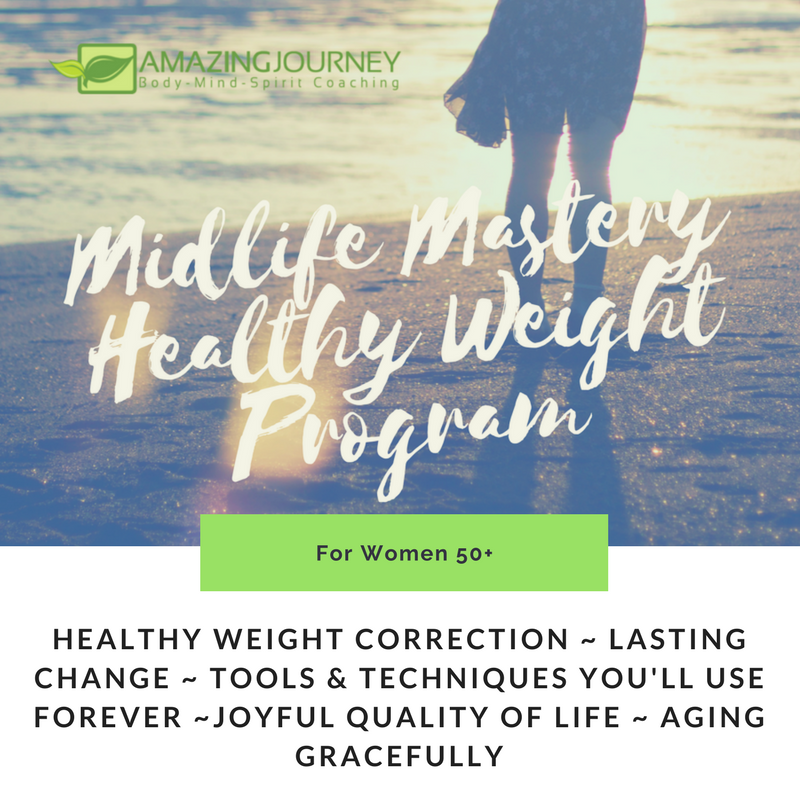 The Midlife Mastery Healthy Weight Program is for women 40+ who are struggling with midlife weight gain, lack of energy and declining self-image. Easy to follow steps on how to make lasting lifestyle behavior changes not only for healthy midlife weight correction, but for enjoying quality of life while aging gracefully. Aging, environmental factors, unhealthy habits, and lack of understanding about food and lifestyle choices all can lead to unhealthy midlife weight gain. Learn how you can make lasting lifestyle changes and love yourself to a healthy weight and quality life! Getting Started - Setting the Stage for Lasting Change! What is HIIT and Why Do I Need to Know About It? How to use your "40 Day Manifestation Journal"
Maintaining Your New Healthy Lifestyle - You Make The Rules! Debra Betterly, PhD, has been a health and wellness enthusiast her whole life. It all started with organizing fitness challenges in her neighborhood and putting her dad on diets as a teenager. As an adult, she owned and operated a lifestyle weight management business called “Health and Diet” after graduating from college with her degree in Wellness Education. She was recruited to serve as the wellness director at the local YMCA where she also started an eating disorder coalition and Girls on the Run program in her hometown of Red Wing, MN. Following her dream to live in a warmer climate, she moved to Venice, FL in 2006 and continued as wellness director at the YMCA there for 3 more years where she started the Girls on the Run program for Sarasota County and the Try a Tri program where she trained first time triathletes. To pursue her interest in integrative health, she started working at a large oncology practice where she initiated their integrative oncology program (and learned a lot about big pharma!). From there she started working at a physician-directed company dedicated to manufacturing the freshest, full-spectrum omega-3 fish oil available and is where she continues to work part time as their community liaison. After getting her under graduate degree in Wellness Education, Debra went on to receive her Master’s degree in Community Counseling and her PhD in Metaphysics, thus rounding out her body-mind-spirit education! Her continuing education includes multiple coaching certifications (Most recently, an Integrative Wellness & Life Coach Certification through The Integrative Wellness Academy), level one EFT certification, stress management and weight management certifications. Debra writes her monthly Amazing Journey Coaching Blog for Women (and a few men!) 40+, offers several coaching courses including the popular Midlife Mastery Healthy Weight Program and her signature Midlife Mastery Reset Free 60 Minute Coaching Session. She also does some private holistic health and personal development coaching. In her spare time she enjoys spending time at the beach, reads everything she can get her hands on about body-mind-spirit health and wellness, is active with running, biking, swimming and yoga, and enjoys time with her husband Steve, family and friends. Thank you Deb for letting me be a part of this course and giving me hope again to be the person I know I can be! If you would like a great "life" coach, Debra Betterly is amazing! From diet, to energy, to stress relief, to natural healing, to spirituality, and so much more, Debra has helped me through this amazing journey of health and healing. Get in touch with me when you have questions or need additional support! Join our growing community and learn everyday through real interaction! Sign up in advance today to start your complimentary lessons!